Posted byBramus! 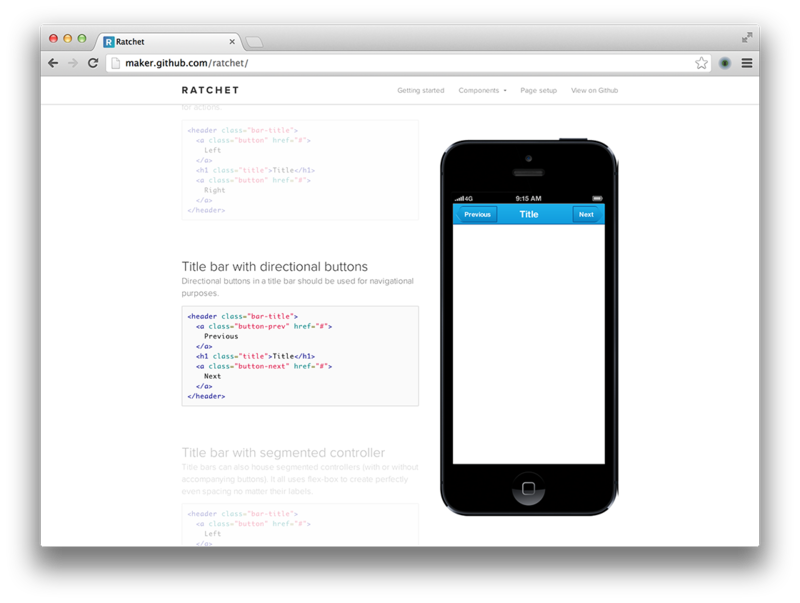 November 13, 2012 November 13, 2012 Leave a comment on Ratchet — Prototype iPhone apps with simple HTML, CSS and JS components. Simple markup, to quickly get results.